The number of new people attracted to eSports and League of Legends in particular is steadily growing with each passing year. After every big tournament, whether it is in L.A., Seoul, Taipei or Berlin, the exposure the game and eSports get attributes vastly to its rising popularity. Newcomers were quickly drawn to the charismatic superstars who dominate lanes or the underdogs who proved their worth in long-lasting fights. They identified with them, became fans and made a habit of regularly tuning in to cheer for their favourites. 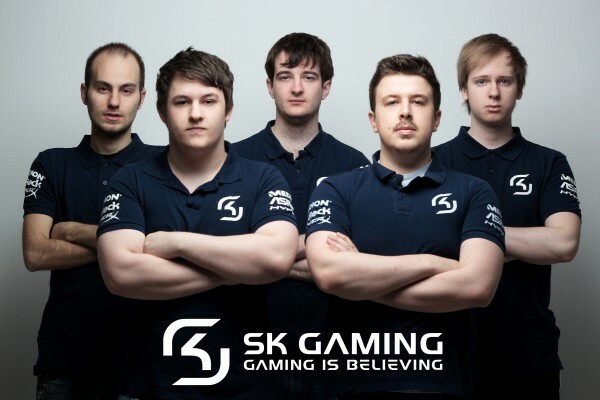 SK Gaming the underdog. For everyone who has some knowledge of eSports prior to League of Legends’ boom of popularity, the previous statement does not feel right. When we take a look back at the dominating streaks of our Counter-Strike, FIFA, Quake and RTS divisions (among others), being an underdog simply does not suit SK. It was hard watching the team struggle through Season 3. “Underdog” or “outsider” quickly became labels which you are not used to hear, but at the same time, you could not argue with results. Despite all the effort, it seemed that the players did not believe in themselves which contradicts our moto – “Gaming is believing”. After the website-shattering departure of Ocelote, the announcement of our new team left many dumbfounded. The same people wrote SK off, including the author. With time, however, you learn not to question managerial decisions within the team. Every single doubting person was proven wrong. Seeing the evolution of our 2014 line-up and the tremendous effort they brought to the table felt incredible. Seeing the SK logo on a flag right there, with the best teams in the world, brought back memories and most importantly, felt right. 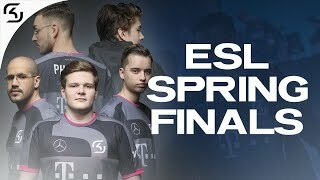 Spirits in Cologne were high and the boys were there for one thing - a spot at the S4 World Championships. With results came reputation and with reputation came fans. Watching SK Gaming live in Cologne during the GamesCom Regional Finals and seeing so many RUN SKG shirts never felt so amazing. The support that was given to our hard-working team, especially in their tough games against Alliance and ROCCAT at times even felt alien. In a good sense that is. The team prevailed over ROCCAT to win a place at the Season 4 World Championship. The players made it, the SK logo was back among the best teams in the world after two years. Visiting Asia to compete with the top contenders from each region was a dream which their hard-work and determination made a reality. Towards the end of 2014 we had to say goodbye to CandyPanda and Jesiz. Another managerial decision was about to be made and this time, you do not waste time doubting. 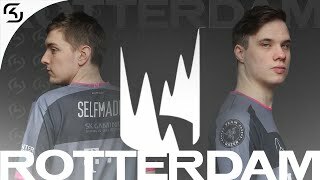 SK re-signed the best European top laner of 2014, one of the two best junglers in Europe and one of the greatest European minds to grace League of Legends. Joe Elouassi, an experienced manager in his own right and more importantly, a trusted man within the SK ranks, was promoted to the first team and brought with himself two brilliant signings - Konstantinos ‘FORG1VEN’ Tzortziou and Hampus ‘Fox’ Myhre. At the end of the transfer season, the management team finalized the best SK line-up the organization has ever had in League of Legends. Different experts, pundits and members of the scene quickly put the new SK among the EU LCS elite along with Elements (formerly Alliance) and ROCCAT. The beauty behind the squad was quickly identified – despite the boost in raw skill with the additions of Fox and FORG1VEN, the cerebral approach and strategic depth were still there. New players bring on new paths to victory and paired with a great strategist and experienced support staff, the SK team can go far. With each passing season, the LCS becomes more competitive. Last year, Fnatic and Alliance were the two clear favourites for the top spots. This time, SK joins the tier of teams expected to topple the rankings at the end of the split. Right below them are a number of line-ups which may not possess the same qualities, but can spell disaster for a big team should the latter not bring their A-game. At the main stage, the five players are the stars. They control the champions, they make the plays and they win or lose the game. What we usually don’t see is the hard-working support staff behind every successful campaign. 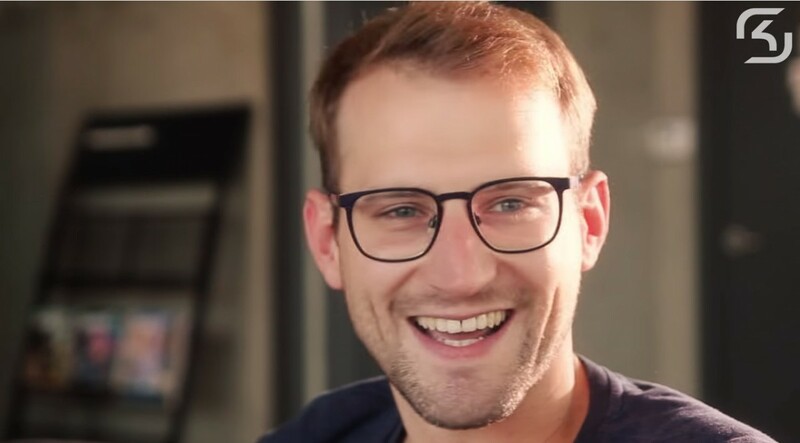 One of SK’s best assets was our sports psychologist, Lukas Schenke. This year, Lukas will supervise the roster once more and will ensure a stable environment in which the line-up can grow stronger. Joining him will be our two new analysts - Danusch 'Arvindir' Fischer and Wolfgang 'Wolle' Landes. The team's manager Joe 'InnerFlame' Elouassi gave a little bit of insight as to how Arvindir and Wolle came about. "While Wolle and Arvindir aren't the most experienced, their applications were far better than any of the others that I received. So far, they have more than shown me their worth and I am happy with the information I am receiving from them. Lukas was an integral part of the team's success last year and I'm glad to have him on board again this year. There are some issues that require his expertise to solve and I know that it is integral in having him around." Lukas Schenke, our sports psychologist. You can watch an interview with him by clicking here. Providing the necessary support behind our promising quintet is a vital step towards competing with the best and a leap in the right direction in terms of infrastructure. SK has always prided itself in innovation, from introducing the concept of contracts to eSports to being one of the first (if not the first) team to employ a sports psychologist full time. All that is left now is starting where we left off – a very eventful and prosperous 2014 campaign. 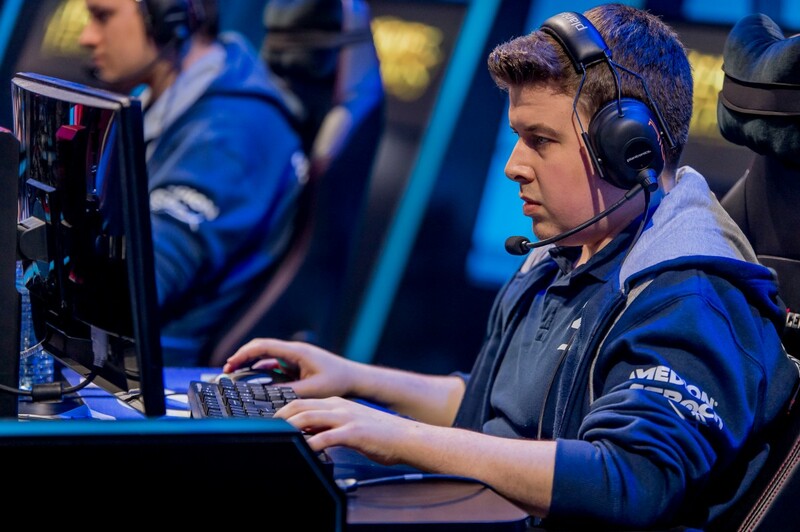 What can we expect from SK in the 2015 LCS season? The answer is simple – everything. With the significant skill upgrade, four aspects of our game have been improved. 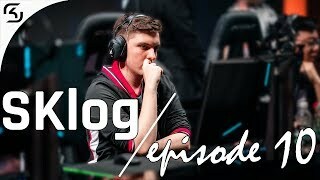 First and foremost, Svenskeren is now open to counter-jungle a lot more and apply pressure onto more areas of Summoner's Rift. Previously, Sven had an important task to protect Jesiz which took away from punishing enemy jungler presence elsewhere on the map. Now that a more aggressive mid laner with a wider champion pool has stepped in, Sven will be free to challenge his opposing counter-part more often and when required, go wreak full havoc in enemy territory. Speaking of mid laners, Fox is the dark horse within the line-up. Although he lacks LCS experience, the Swedish youngster has quite the amateur experience with SK Prime. Putting him besides a great jungler such as Sven will ensure that Fox has all the space in the world to experiment and evolve as a player in a way that is most appealing to him. His good champion pool and play style versatility come as a bonus which will be perfectly utilised by the support staff. With the addition of FORG1VEN, SK is now in the talks for a top bot lane duo in Europe. Striking a balance between Konstantinos’ aggressive nature and nRated’s more cerebral approach will be vital in terms of team growth. However, once that is done, the pair will put the enemy team at a tough spot as the Greek carry is unrivalled in drawing jungle pressure to his lane. 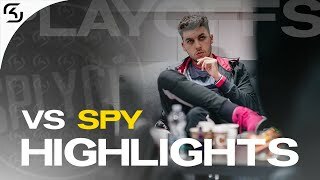 We saw the aforementioned scenario in the Spring Split of 2014 with Copenhagen Wolves – FORG1VEN and Unlimited were constantly a thorn in the sight of the opposing team and should the jungler choose to dampen their effect, Amazing would immediately respond with a kill or an objective somewhere else on the map. Finally, the SK style is still there. 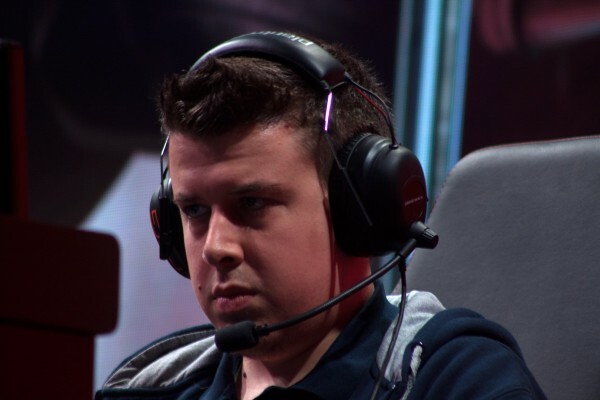 The reason the team took EU LCS by storm was the brilliant addition of nRated – one of Europe’s top tactical minds. He, along with our support staff, built a style which relied heavily on objective based play and punished more lane dominant or reckless teams who actively sought confrontation. Given the significant upgrade in the face of Fox and FORG1VEN, nRated now has new and improved pawns to play his chess game with, not to mention the increased possibilities of style deviation. Overall, the squad which has been assembled represents an incredible mixture whose only limits are those who they impose on themselves. With enough hard work and practice, I have no doubt in my mind that this line-up can go far. One day is left before the start of the LCS and our first match is against one of our main competitors this year, the also significantly stronger ROCCAT. The titanic clash will hopefully be a start of a gentlemen’s rivalry and honestly, we would not have it any other way. It is in the SK spirit regardless whether we face Counter-Strike giants, strong LCS competitors or any other player who is a title challenger – we take them head-on and never leave a doubt in mind as to who the better side is. From the starting line-up through the writing staff to the last person in management, we believe that the 2015 season will be a great showing for our boys and we urge you to support them just as much as we do. SK management has ensured that all the pieces are set and all preparations are made in order for us to show our best form and make you, the SK supporters, proud to wear our shirt. 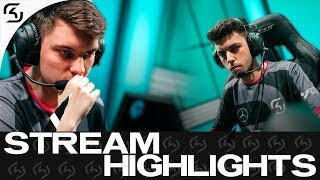 The European LCS starts on Thursday and SK Gaming are playing. We are ready. Are you? Images courtesy of lolesports, Thinkpiece.gg and onGamers.